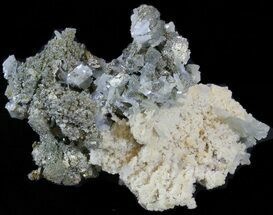 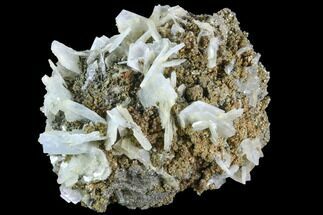 This specimen contains chalcopyrite crystals and barite. 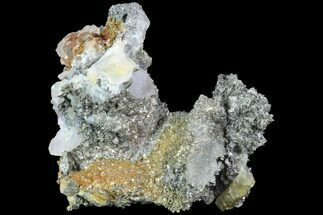 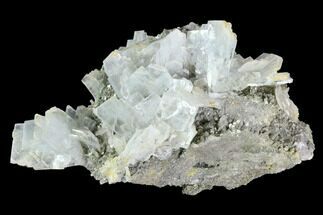 The barite has a blue coloration and bladed formation and the chalcopyrite has a beautiful iridescent coloration, making for an incredible mineral association. 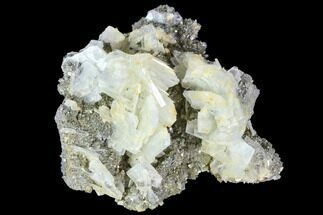 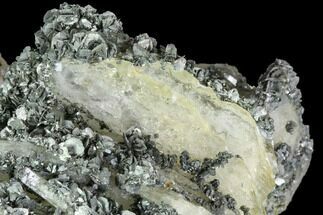 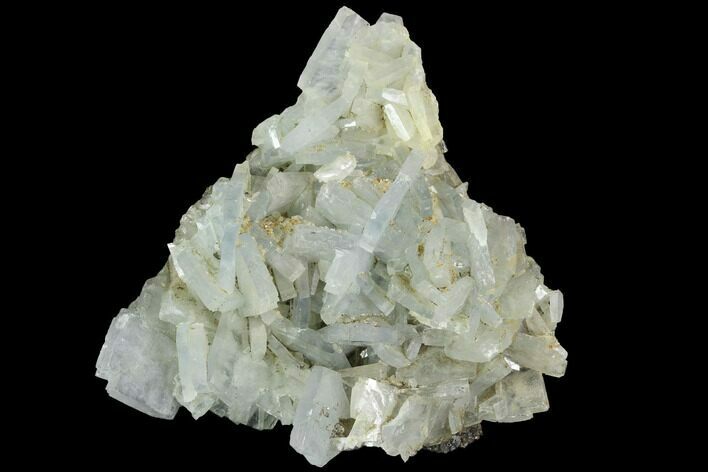 The barite formed from a matrix which is almost entirely composed of chalcopyrite.